CFI Academy is a flight instructor training institute which specializes in the training for the initial issue flight instructor certificate applicants (CFI), and flight instructor instrument airplane (CFII) and multi-engine instructor ratings (MEI). At CFI Academy, flight instructor certificates and rating training is all that we do. 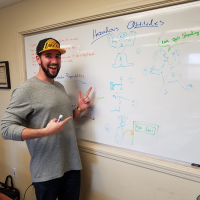 We believe that by keeping ourselves focused and involved in the CFI courses exclusively, we do a much better job with preparing our applicants for the FAA practical test (checkride), and have our entire infrastructure optimized for best results. Bringing in a good quality, well maintained and completely airworthy airplane for your checkride is a part of the checkride for a flight instructor applicant.Our aircraft are strictly used for CFI training courses. This means they are never used for primary training of student pilots or private pilots. Most flights in our aircraft are either dual instruction or with an examiner on board for checkrides. 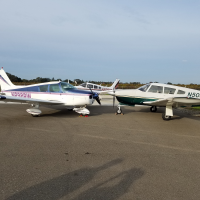 We utilize a Piper Arrow and a Cessna 152 or a Cessna 172 for the CFI initial in ASE category, a Piper Warrior or a Cessna 172 for the CFII course, and a Beechcraft Duchess for the multi engine instructor (MEI) course. All aircraft are well maintained, properly equipped and well taken care of. We do not rent our airplanes to any other pilots. We also use a state of the art full motion simulator to assist our students with developing proper teaching habits and practice their instrument flying and teaching skills. This simulator is capable of simulating all of our training airplanes. Students can use this simulator with their instructor or solo, as needed. If you are a military veteran or currently serving in the military, we offer discounted aircraft, simulator and instruction rates for you. I was struggling to find a school where I could do an intensive CFI course. 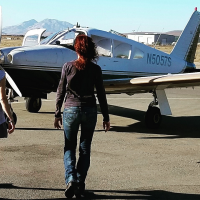 CFI Academy is both affordable and flexible and allowed me to work intensively on my own schedule and I successfully passed my CFI checkride. You will be expected to study on your own and I highly recommend taking both of the written exams prior to attending the course so that you can focus on learning how to teach and practicing the skills as you learn them. If you want to be spoon fed the material better... look elsewhere. Prince has been doing this successfully for a long time and if you are willing to put in the effort, he will teach you to be a great CFI. I can´t wait to return for my MEI and CFII Add on Ratings. Thanks to Prince, Jake, and Jim for a successful CFI initial course beyond my expectations. A combination of classroom activity where students actually teach all elements of the PTS to each other and where you teach from the right seat starting with the first flight, you will find yourself well prepared for the Practical Test. Prince personally guides each student based on individual needs for a great learning experience. I was well prepared for my checkride. A friendly atmosphere (Bonnie brings brownies to class) where these guys turn the national first-time pass rate on its ear! From 80% fail to 80% or better passing. I´ll see you again for my MEI and more brownies. As I was searching for a school to do my CFI training at I came across CFI academy. After comparing rates and what some other schools had to offer I decided to go to CFI academy in Oct of 2017. My situation is a little different than most as I also have my own aircraft that I wanted to use for my CFI training. CFI Academy was the only CFI specific flight school that I called that would allow training in my own aircraft. Prince is a vary knowledgeable CFI who helped me see some concepts from a different point of view. He help get me prepped for the CFI Check ride and I passed on the first attempt! During my stay I chose to camp outside to save some money, but be prepared depending on what season you go and make sure you have a good tent, sleeping bag, etc. All in all I would recommend CFI Academy to anyone who wants to have a good foundation in beginning their CFI career. Thank you Prince. 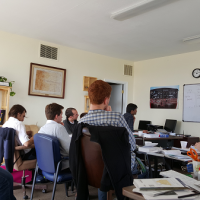 The ground school for CFI preparation was superb. This isn´t a cookie cutter CFI mill. The instruction is individually tailored to each candidate in training. My knowledge vastly increased and the lead instructor prepared me to be an exceptionally knowledgeable CFI. The ground school alone is worth the price. You will learn more than what is needed for your ratings. This makes for a more well rounded pilot/ instructor. Nice to find a school that specializes in the other part of the aviation industry (teaching). Good job. Just did my MEI add on for CFI renewal. This school is by far (of the many I´ve seen nationwide) the best experience I´ve ever had. To be clear it is no big soul sucking 141 place - it is a quiet, cozy, well run place that will give you more value than you can imagine. Prince is a dedicated mentor, instructor, guide, and friend who will help you overcome any hurdle you may face in your CFI process. 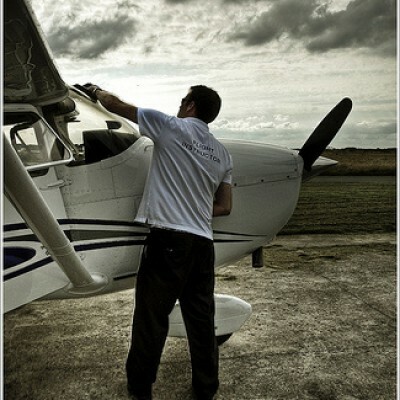 The best flight school I´ve ever experienced. Got my commercial plus CFI, CFII and MEI done in 5 weeks flat. Very nice, clean and affordable on campus housing.